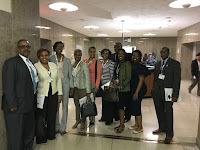 After absorbing nearly two days of information on current state education issues at the Alliance Leadership Summit, board members, school business officials, and administrators boarded school buses and headed to the Capitol to share their local perspective with state legislators. 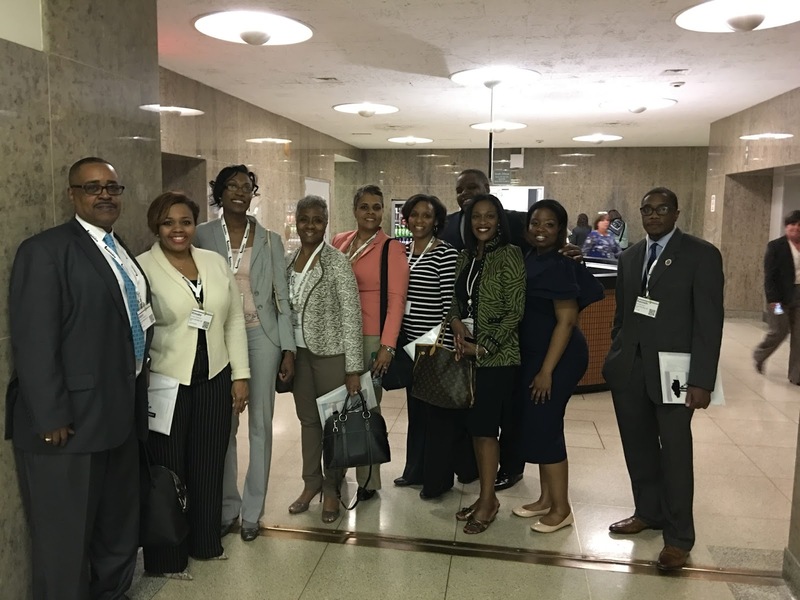 Before meeting with members of the General Assembly, school leaders were briefed on effective advocacy strategies and messaging by Alliance staff. Among the techniques discussed were to make the conversations personal and relate how current and proposed education policy impacts their districts. encouraged to discuss areas of collaboration where all sides can work together to ensure that education in Illinois is headed in the right direction. Passing a full state budget to provide schools with a level of future certainty. Ensuring that the budget “grand compromise” is not a net loss for public school districts. 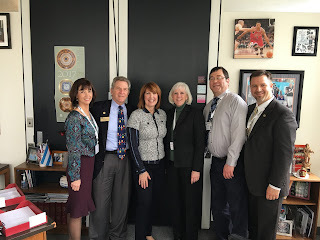 Illinois Vision 20/20 initiatives, including support for the Evidence-Based Funding Model, mandate relief, flexibility in teacher licensure, giving educators a seat on the Illinois State Board of Education, and expanding access to broadband for under-served districts. “We are facing more challenging times than ever before. 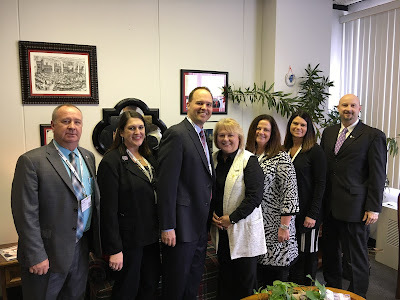 With the budget at the state level and the Every Student Succeeds Act (ESSA) at the federal level, it is more important than ever that we [school leaders] stay connected,” emphasized Carbondale CHSD 165 Superintendent Steve Murphy. Summit attendees were also advised to bring these types of advocacy efforts back to their local districts and encourage other area residents to get involved. 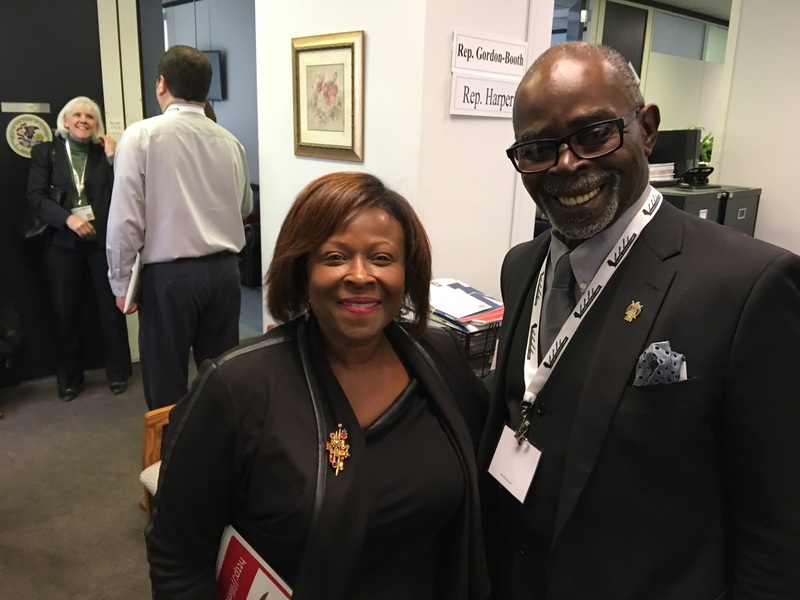 A reception Wednesday afternoon with state legislators and Leadership Summit attendees concluded the networking and advocacy efforts for the day.